The best way to increase efficiency and productivity within your current physical therapy management and practice is to use the latest software called EMR. Nitin Chhoda shows how the right EMR can improve staff’s professionalism and systematize billing, as well as have a positive impact on staff to patient relationships. Physical therapy management and handling patients come in two forms. 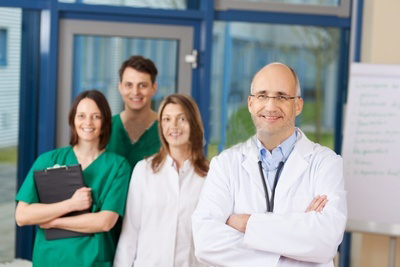 The first revolves around the interpersonal relationship you have with patients. This form of physical therapy management is critical to managing the expectations of patients as well as getting the best results from treatment plans. The second form of patient management is the paperwork side of things. With an EMR for physical therapy management and services, you can improve efficiency in the way you record patient visits, referrals, insurance information, and billing. One way that physical therapy management software can help with patient management is by giving your office a feel of professionalism and modern documentation techniques. For example, every new patient that enters your office should feel that things are well organized. Trust is an important part of the clinician to patient relationship, and one way patients will come to trust you is through the tidiness and efficiency of the way your practice works. This kind of judgment starts right away, and will continue into every facet of their experience with your staff and practice. Physical therapy management and documentation software can standardize the paperwork that patients deal with. EMR systems are designed to make communication straightforward for everyone within the practice and with patients. Another way that EMR for physical therapy management and services will improve patient management is through your billing system. EMRs should include an excellent billing system that allows you to bill regularly and quickly. Physical therapy EMRs will include the necessary filing options for health insurance reimbursements, as well. Patient management often strays into the physical therapy management or meeting patients’ expectations, and the best way to manage expectations is to communicate clearly and preemptively. In other words, if your patient believes that their insurance policy will cover all expenses, but the policy only covers 80%, you can avoid an uncomfortable situation by communicating those details before you send any bills. Physical therapy management and billing can be extremely complex from the perspective of the patient. If you can communicate with them about billing and if your EMR has automated calculators for insurance and patient responsibilities, you’ll be able to maintain a good relationship with your patients. Patient and physical therapy management services can ensure that your patients stay with your practice and that they are an active participant in their own recovery or health plan. Many patients will arrive with a sense of dread or apprehension about their physical therapy sessions. The best way to ensure that they are ready to do the work is to plan together with them so they know what to expect. Once a plan is set, an EMR system will help you to maintain consistency within that plan. 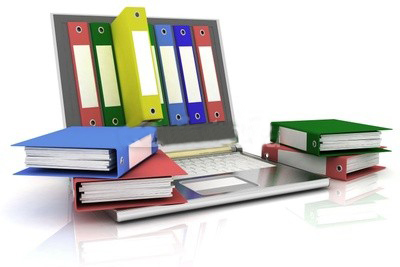 Electronic medical records are quick and easy to access, and updates are quick and easy to make. Every visit with a patient can be productive if both you and the patient feel confident about knowing what happened last time and what to expect for the current appointment. Physical therapy management and EMRs provide consistency and efficiency for patient management.